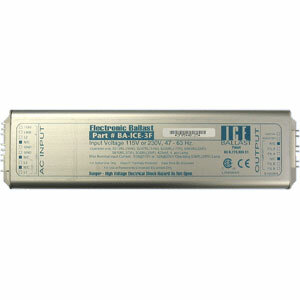 The Sterilight ICE BA-ICE-3F ballast is an electronic ballast for low pressure regular intensity lamps. This is a 100-110 V./50-60 Hz, 200-250 V./50-60 Hz ballast which comes equipped with an audible alarm. The BA-ICE-3F gives a constant current output allowing the lamp to give off a consistent UV dose throughout its one year life.